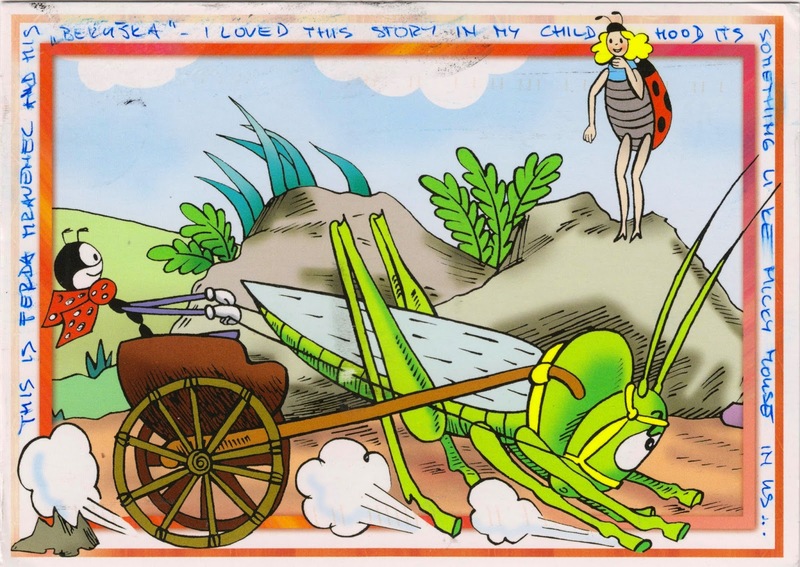 Postcard CZ-594777 from Czech shows Ferda Mravenec (Ferda the Ant), a popular Czech animated character illustrated by Ondřej Sekora. It was first published on January 1, 1933 in the Lidové noviny, the oldest daily newspaper published in Prague, the Czech Republic. The character have appeared in many Czech children books, including Ferda the Ant (1936), Ferda the Ant in the Foreign Service (1937), and Ferda Anthill (1938). It is popular in Czech as much as Micky Mouse in the U.S.